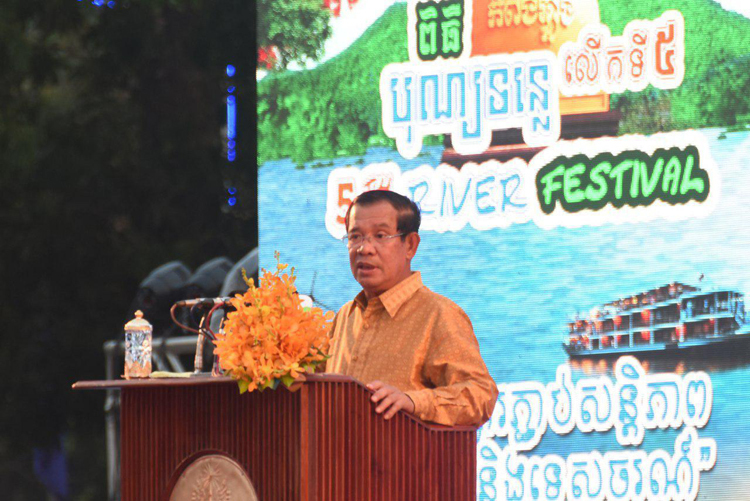 Thirdly, make further efforts to achieve tourism development in cities alongside the rivers and with big lakes […] we must think and make use of every potential we may have to attract tourists […] in this case, some have said that we have less tourists in the province of Preah Sihanouk. 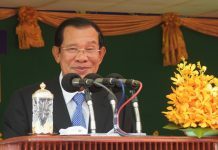 They have looked at a tree instead of a whole forest […] we may have less arrival of tourists to Preah Sihanouk but in every 25 municipals and provinces, we have registered growing number of tourists […] let me have your attention here that we should not be shortsighted because improper understanding would lead to wrong thinking and giving wrong signal. 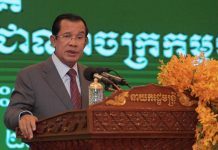 We are putting our interests in cooperation with countries in the Greater Mekong Sub-region for which Cambodia will host the meeting of the six countries with Lancang and Asian Development Bank next year. We also are looking at the contributions from the Lancang-Mekong, Japan-Mekong and US-Mekong mechanisms […] I had a fruitful negotiation with the President of South Korea and we have decided to work to raise the RoK-Mekong mechanism from Foreign Ministers level to heads of governments level. We will convene a meeting in the Republic of Korea on 27 November 2019, after the ASEAN-RoK summit on 25 and 26 November. 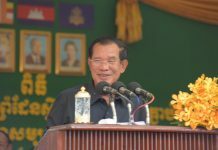 This is indeed a result of cooperation among partner countries with the Mekong and that should be helpful to its development. We can work out this sort of Mekong-tourist visas as we have worked with Thailand to provide tourists with ACMACS visa. We can do the same with countries interested. Tourist can have a visa in one country and travel to a set of countries […] ./.